The growth observed in the aviation industry, provides opportunity to work in a competitive and attractive environment. 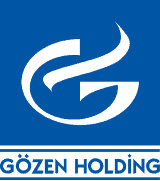 As being the first established representation and supervision company in Turkey, leaving 39 years behind, Gözen Air Services still maintains its traditional culture regardless of the size of its current business. Candidates looking to join our team will not only get to know the nature of complex operations but also contribute to their personal development. Our emphasis on people promotes continuous development on individual skills and competencies. Gözen Air Services supports equal opportunity of employment, encouraging diversity at workplace.